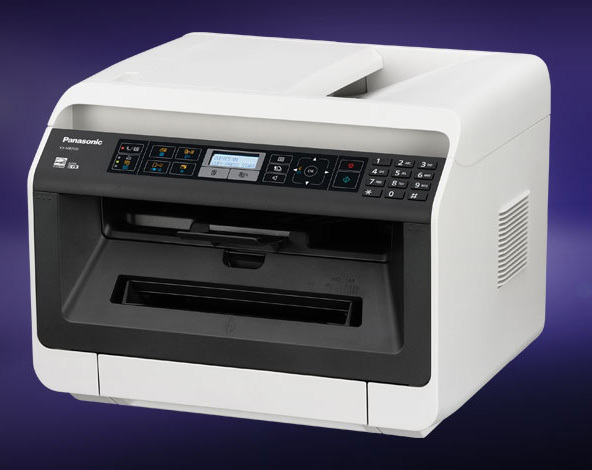 Panasonic’s KX-MB2120 multifunctional printer delivers the performance you need to dramatically improve your office productivity. From routine print jobs and enhanced document security to on-the-go mobile printing, this versatile printer has all the features that today’s complex business environments demand. The KX-MB2120’s quick duplexing can print out double-sided documents at a rate of 24 ppm, effectively cutting print time in half when compared to standard 26-ppm MFP duplexing. Because you only need half as much paper – or even just a quarter as much when 2-in-1 duplex is used – you’ll need a lot less storage space. You’ll also save plenty on consumables. With 2-in-1 duplex, you can slash paper consumption by as much as 75%, while cutting toner consumption in half. Printer operating time is also reduced, saving electricity cost. Up to three frequently used functions or complicated copy/scan settings can be programmed to the ‘quick-job’ keys and recalled at the touch of a button, saving you time and trouble. 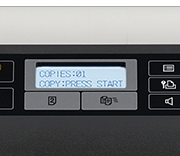 You can programme your preferred 2-in-1 and duplex combined copy settings. You can quickly recall and execute the programme with the appropriate ‘quick-job’ key for mistake-free operation, without having to repeat the steps each time. With Secure Print, you can prevent confidential documents from being leaked by protecting them with high-level security. Print data is password-protected and temporarily stored on your computer’s hard drive. It can be retrieved and printed only when the password is entered on the printer. There’s also no limit to the number of pages you can store since, unlike most secure print systems that use memory-based storage, the data is stored on your PC’s hard drive. Up to 30 jobs at a time can be printed from data on the hard drive. Any additional jobs can be printed once the first 30 have completed. With the KX-MB2120, it’s possible to print straight from any Android™/iOS device by mobile print application or Google Cloud™, which allows total flexibility and on-the-go documentation.